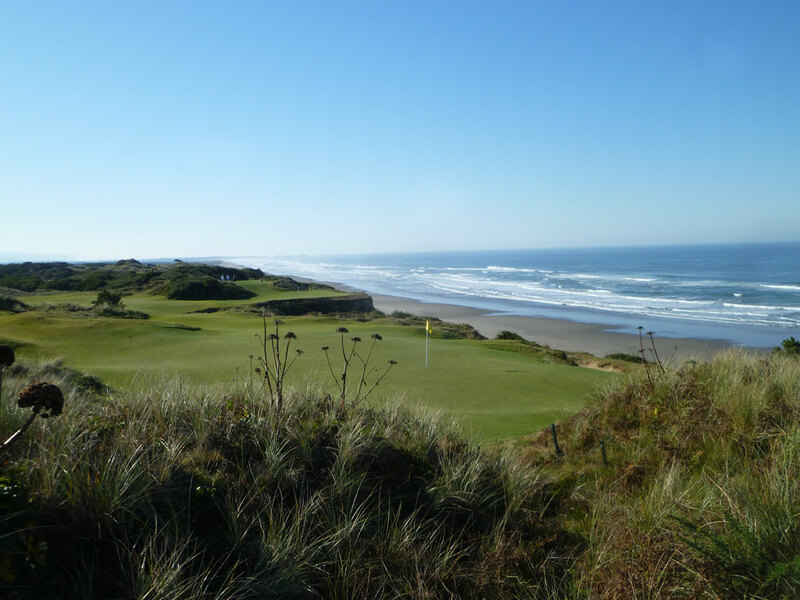 Course Website: Official Website - Visit Pacific Dunes's official website by clicking on the link provided. 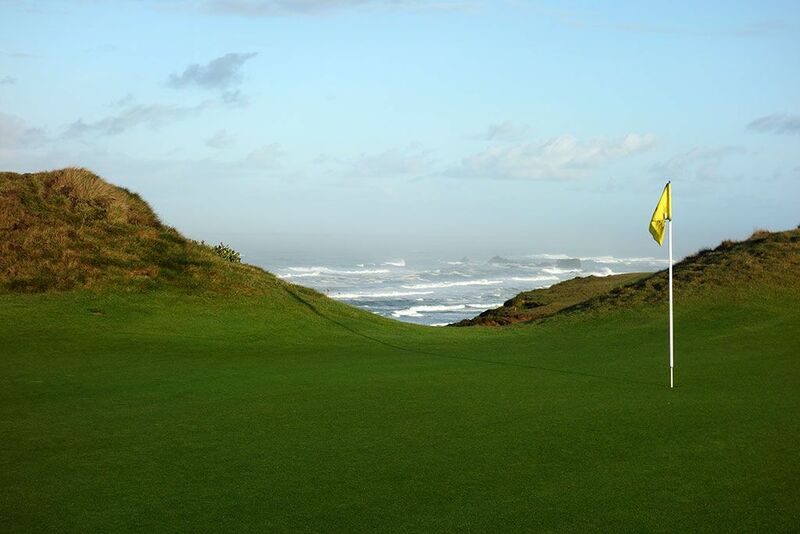 Accolades: Ranked 1st in Oregon on Golf Course Gurus' Best in State list. 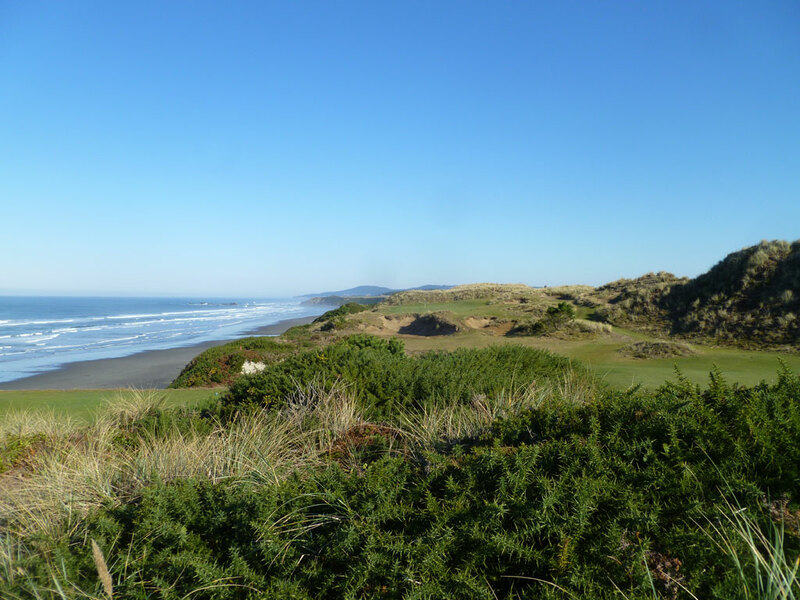 What to Expect: What else is there to say about Pacific Dunes other than what has been spoken and printed since opening in 2001? It's magical. It's natural. It's remote. It's perfect. 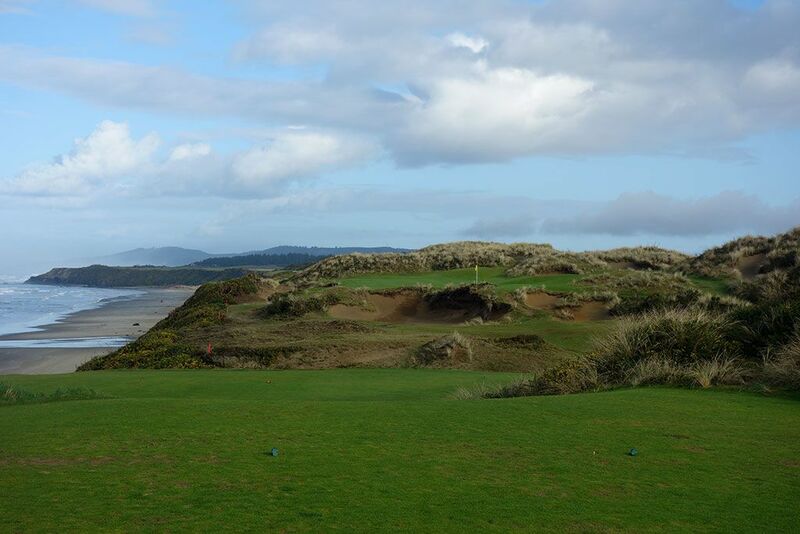 Pacific Dunes offers a golfing experience that is much more common on the links of Ireland than something you would expect to find in the United States. The unconventional par 71 routing boasts one par 3 and one par 5 on the front nine and four par 3s and three par 5s on the back nine. The course features a redan par 3, a sub-500 yard par 5, a nearly 600 yard par 5, and two of the world's best coastal par 4s (#4 and #13). 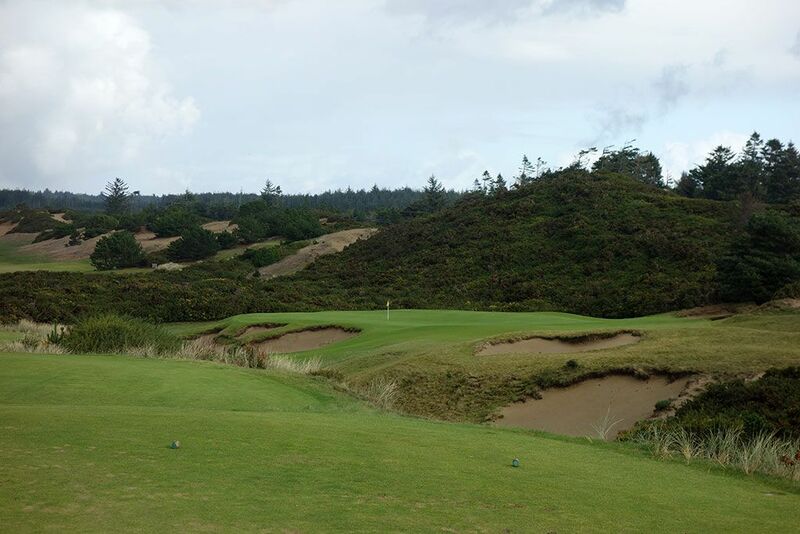 You see, Pacific Dunes was never meant to be a tournament caliber course like Bandon Dunes, it was simply supposed to be the best collection of holes Tom Doak could find on this perfect piece of property. Many say it is better than Pebble Beach; others contend it is the best course in the country. 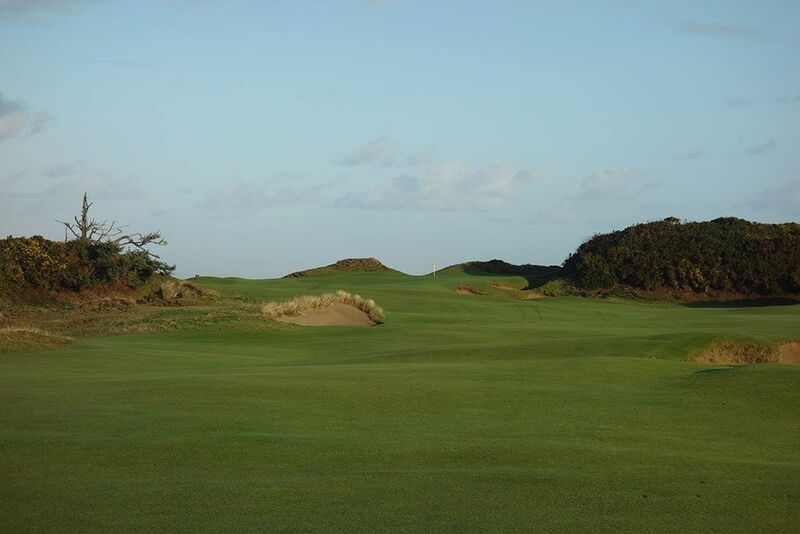 Either way, Pacific Dunes is special and clearly delivers one of the best golf experiences in the world. Signature Hole: 11th Hole – 148 Yard Par 3 – The 11th hole at Pacific Dunes could be used as the definition of a postcard hole; short, fun, and attractive. 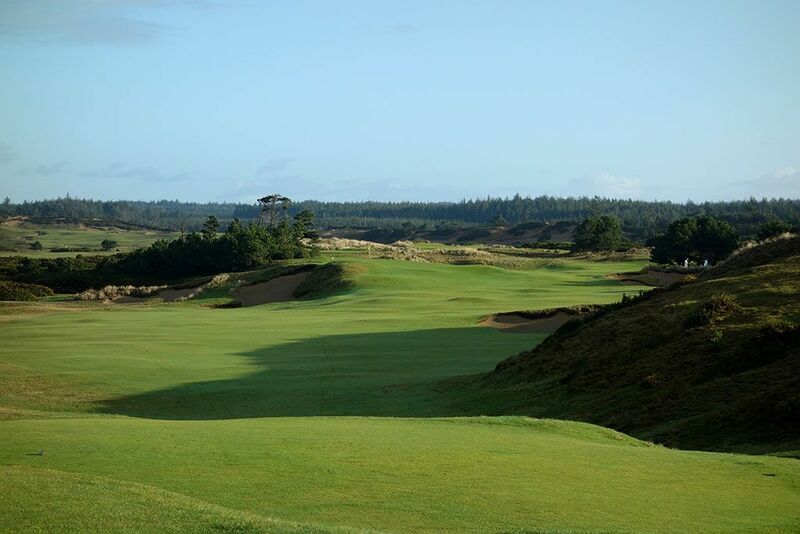 The second of back-to-back par 3s, the sub-150 yard uphill 11th hole is perched in a location that is surrounded by dunes and natural looking bunkering. 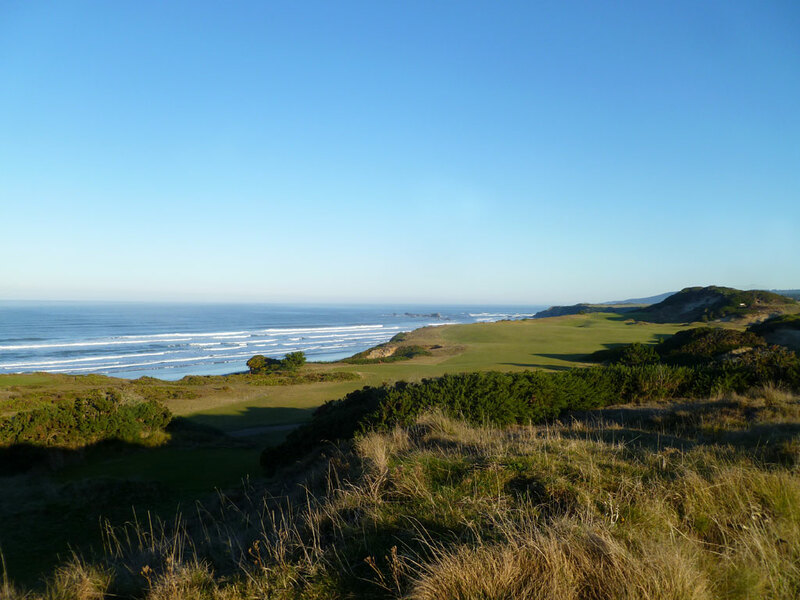 To the players left is the cliff top that towers 100 feet above the Pacific Ocean and adds beauty, drama, and exhilaration to the hole. 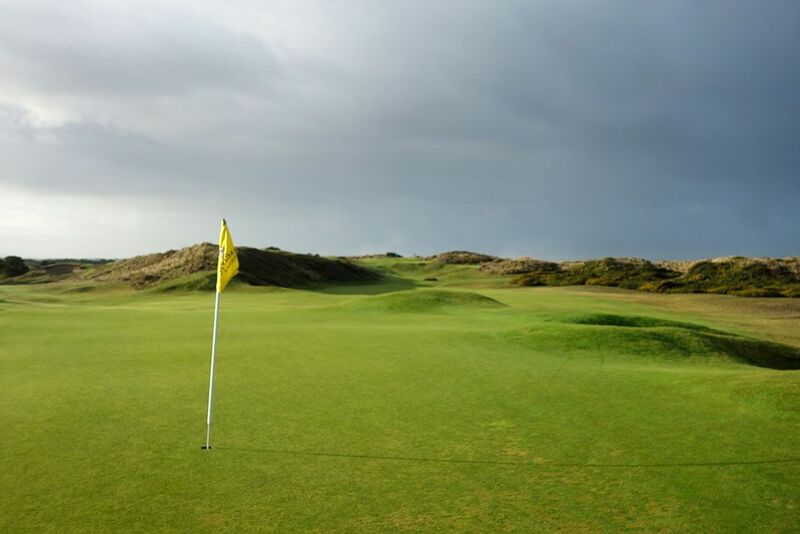 Hosting the smallest green on the course, this hole can big a larger challenge than meets the eye due to the strong winds that often blow through Bandon and play havoc with a ball hit high with a low iron or wedge. 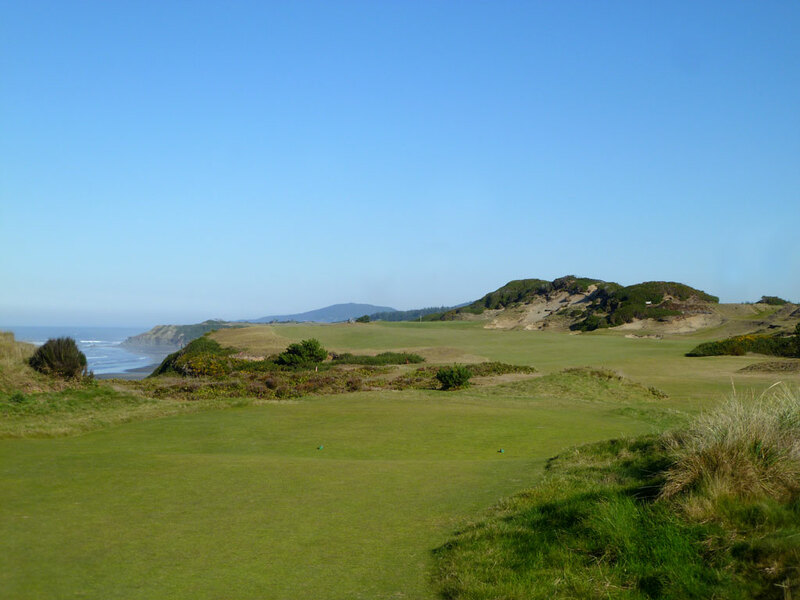 If you didn't bring a camera with you to play Pacific Dunes, the 11th hole will make you wish you had. Best Par 3: 17th Hole – 208 Yards – No other par three design is implemented more often or translates so well course to course than the famous Redan. 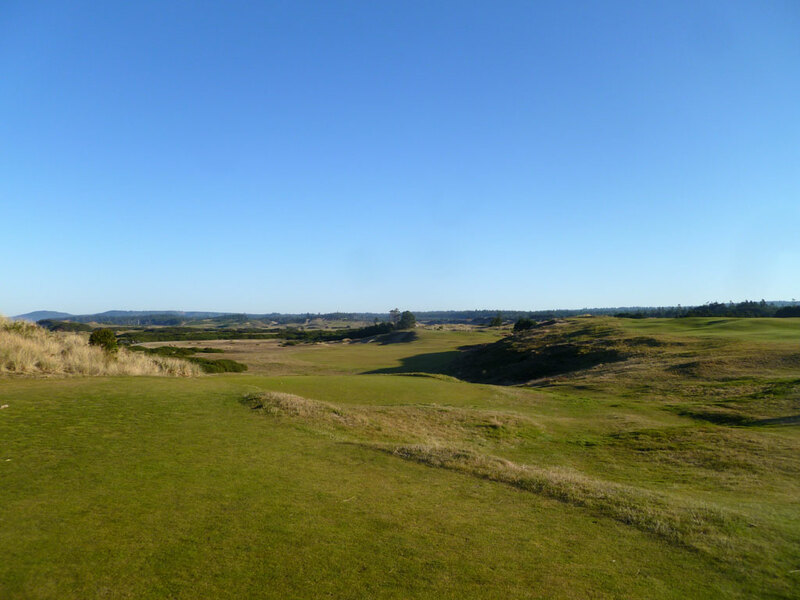 At Pacific Dunes, Doak chose to save this feature for the final par three and implemented it beautifully. Featuring the classic right-to-left, back-to-front tilt in the angled green with a menacing bunker protecting the angled front of the putting surface, the 17th at Pacific Dunes adds beauty to the backdrop with an impressive sand dune the looms behind the hole. This hole concludes an amazing collection of one-shotters found at Pacific Dunes. Best Par 4: 13th Hole – 444 Yards – The of the most stunning par fours you will ever play are the 4th hole and 13th hole at Pacific Dunes. The tee boxes face back-to-back and then run in opposite directions but should play different lengths due to the typical two-club wind that rolls through the property. 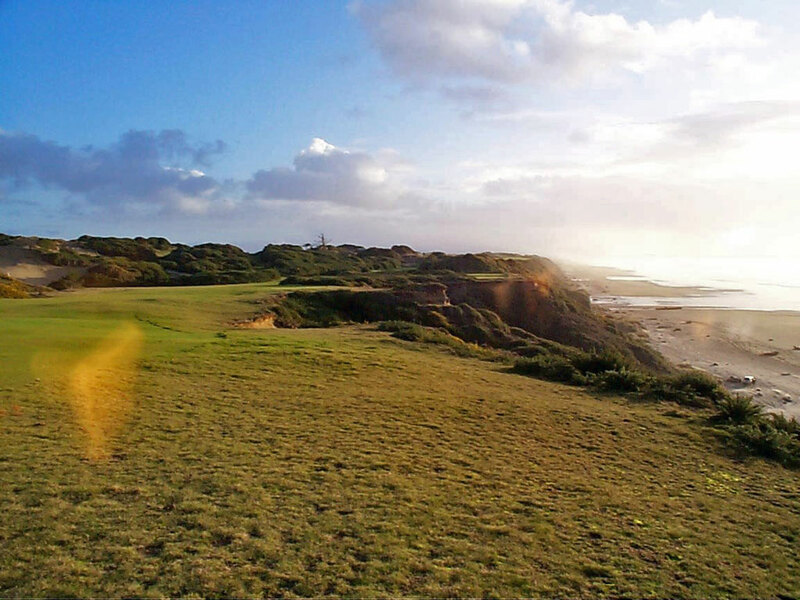 Few holes offer more drama than the 13th does with the ocean side cliff running the entire left side of the hole and a towering six story sand dune encompassing the right side of the hole. The driving zone is quite generous but tightens up quickly as the fairway gently ascends to the modestly elevated green. The sloped front edge of the green quickly repels shots that aren't agressive enough getting up onto the putting surface. Like the 4th, this hole is all-world. 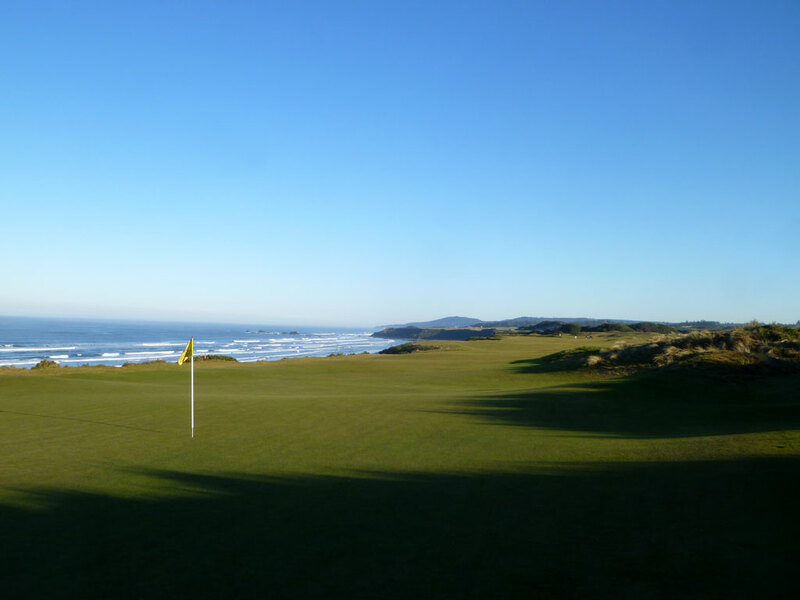 Best Par 5: 3rd Hole – 499 Yards – From the tee box of the 3rd hole golfers are afforded a glimpse of the Pacific Ocean in the distance. This 500 yard hole takes to closer to the majestic water hazard, but full introduction do it won't occur until the 4th hole. 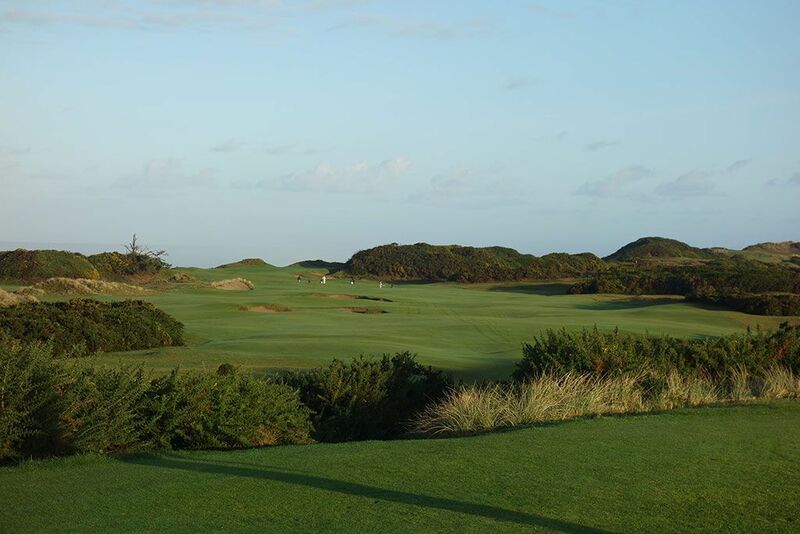 This short par five will generally play longer than the yardage due to its orientation into the prevailing wind. Doak placed a pair of bunkers in the middle of the fairway midway through the hole for the golfer to navigate. The best angle into this green comes from the left side of the hole and will be the direction most golfers elect to take off the tee, especially since extra forgiveness is offered that direction in the form of a shared fairway with the 12th hole. Once on this green, your heart will start to pound as the ocean is closer than ever and the sound of crashing waves shoots adrenaline through your body. Birdie Time: 6th Hole – 316 Yard Par 4 – When writing commentary about a short hole there tends to be a cliche statement along the lines of, "While this hole is a good birdie opportunity, golfers can score an eight just as quickly." Never has that statement been more true than at the 6th hole at Pacific Dunes. Just 316 yards, this hole appears to be a pushover on the card, and can be if you manage to place your drive up the right side. However, anything left of center leave funnel to a portion of fairway that requires a precision approach that many golfers have never faced before. From a tight lie, the golfer will have to pitch his ball over the nearly 20 foot deep protecting the left side of the hole to a green that is less than 12 paces wide at that angle. If you are short, you are in the bunker; long, and your ball cruises down a tightly mown hill to another chipping area. So do the Republican thing here and stay RIGHT, if you want an excellent chance to score a birdie. 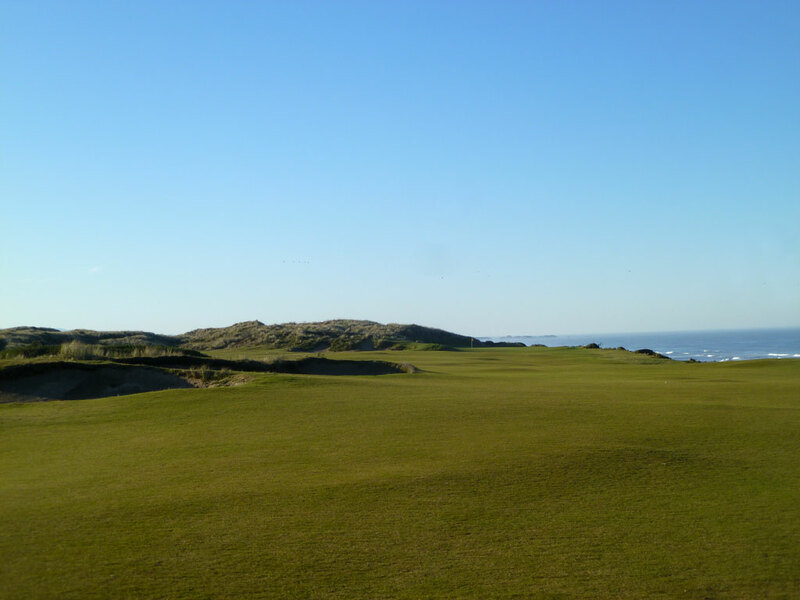 Bogey Beware: 4th Hole – 463 Yard Par 4 – In preparation of making my first trip to Bandon, OR in 2004, this was the hole that I was more excited to play than any other. 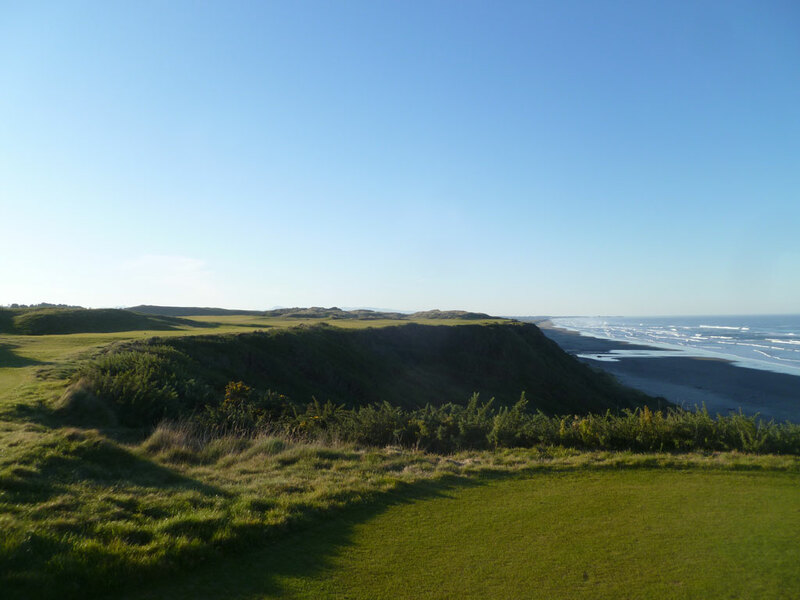 Living in Idaho means opportunities to play along the ocean are few and far between, and to be able to play a hole that runs 463 yards along the ocean cliff tops was a treat I was really looking forward to. The back tee is perched on a finger that hangs out closer to the ocean than much of the cliff edge on this hole and affords an attractive playing angle away from the water that crashes 100 feet below. 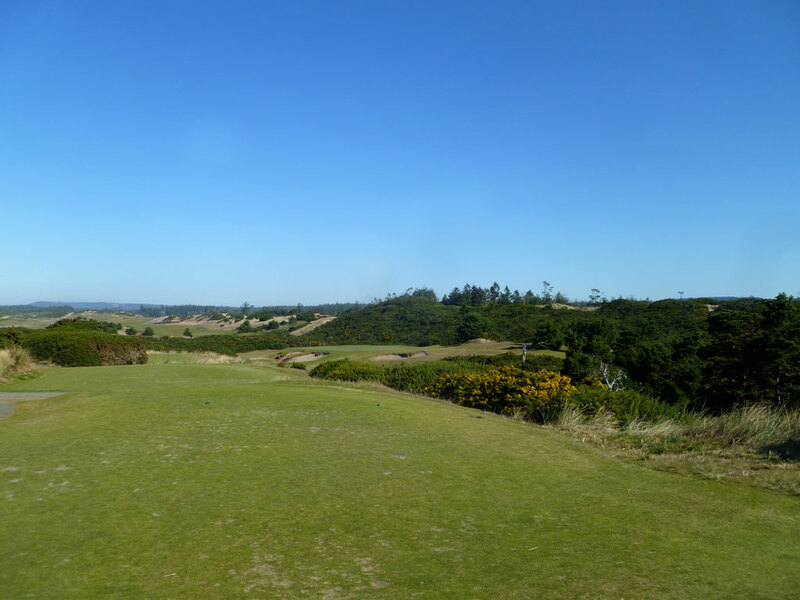 The approach shot is intimidating from the left-to-right sloping fairway as the golfer is left with a view of the green nestled between a dune on the left and the ocean on the right. Anything less than precision shot making will result in a bogey on this all-world golf hole.